The full game for RWBY GE will release on July 5th! RWBY GE will release for consoles at the end of the year. RWBY Japanese Dub vol 2 & 3 will be done and released in the near future. 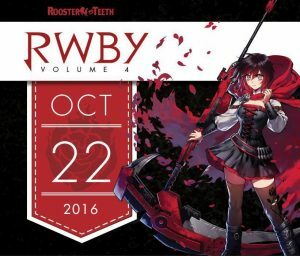 RWBY will be released in both languages simultaneously for Vol 4 and onward. RWBY Japanese VAs teased be at RTX 2017! So, stay tuned for more information here. Next years RTX is July 7-9! Hope to see you guys there!